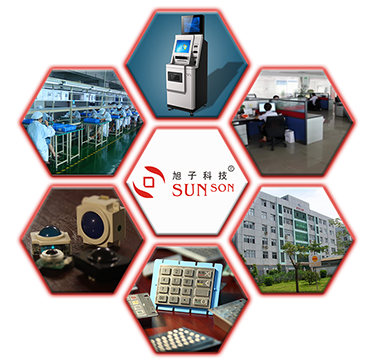 SUNSON TECH was founded in December 2003 as a manufacturer of PCI approved Pin Pad and metal keyboard for kiosk and ATM applications. By 2016 SUNSON has around 1 Million PCI PIN PAD deployed all over the world. In 2013 Our CEO Mr. Tiger Wong decided to invest in kiosk market as well. In order to provide our customers with the quality and service, SUNSON now has more than 50 engineers for R&D department. All of them are qualified enough to achieve our customer’s needs and fulfill their need by providing new solutions and compact models which can help them to develop more business in each region. In addition to the engineers, SUNSON has more than 5000 square meter facility for assembly and testing and 1700 square meters for administration office. As SUNSON looking to be the leading international kiosk provider in china, we hired an international marketing and service team including talents from Middle East, Africa, and south Asia to serve our international clients with no communication barriers. By 2016, SUNSON has developed very good clients from different continents and industries to be our international clients. SUNSON has deployed more than 2000 Kiosks for the international market. By 2016, SUNSON has more than 20 international customers and 3 official partners in different regions. By 2016, SUNSON is top 3 kiosk manufacturer and solution provider in Shenzhen, China. TIGER recognized the industry’s need for an entirely new approach and product platform and founded the company in 2003. He is the primary visionary behind SUNSON’s product design philosophy and its distinctive design-forward customer engagement model. He brings a unique perspective to SUNSON based upon his experience in the PIN PAD and kiosk industry. 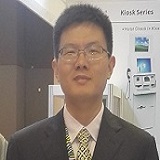 PEIJI has been with sunson for more than 10 years now, he is responsible for managing the entire R&D department. PEIJI is managing more than 50 Engineers now ranging from electronics, software, and designers. 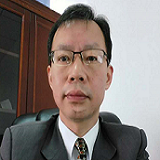 PEIJI has the vision to expand in international that's why he dedicate half of his resources to serve the international market. 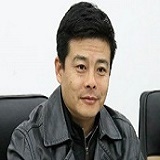 LUCAS Obtained a degree in engineering from Beijing Science and Technology University, and MBA from National University of Singapore, LUCAS used to work as a sourcing manager and supply chain manager, for Whirlpool, Johnson Controls, Rolls-Royce, General Electric, FMC technology before joining Sunson Tech as Director of International Sales and Marketing. OMAR Has been with SUNSON for more than a year now, he is mainly responsible for delivering kiosk solutions to the international market. 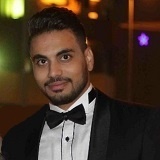 OMAR has an extensive working experience in payment systems and Internet banking before joining SUNSON, as he works for major and international banks such as "NATIONAL BANK OF EGYPT, ALEX BANK, PBZ Bank".